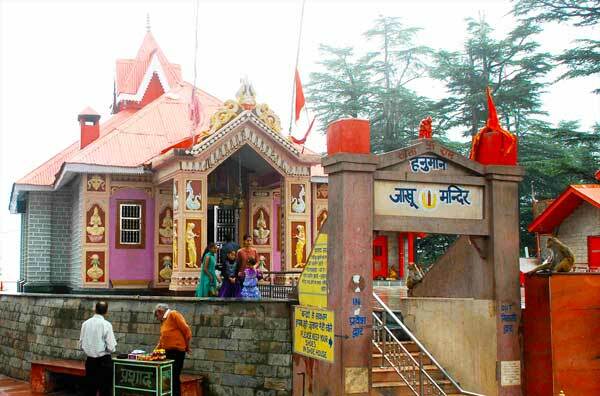 Jakhoo Temple is situated at the highest hill in Shimla town at an altitude of 2,455 meters above sea level. This is a vantage point that offers a panoramic view of the Shimla town’s hills and distant mountain ranges. There are spectacular views at sunrise and sunset especially during the monsoons. Jakhoo is derived from Yaku after Yaksha. Jakhoo Hill is legendary abode of Yaksha, Kinners Nagas and Asuras. Legend says that sudden landing of Hanuman flattened the hill, thus crowned with Jakhoo temple dedicated to Lord Hanuman. The hill is full of paths and narrow roads which are enjoyable for walking. The steep climb to Jakhoo Hill, east of the city center, will get you the best view of Shimla and surrounding areas. It is said that Hanuman rested here on his way from the Himalayas with the magical sanjeevani booti, the herb that saved Lakshman’s life. Appropriately enough, there are many monkeys around the temple. The Jakhoo temple has been thoroughly renovated. This vantage point is being connected by a rope-way. 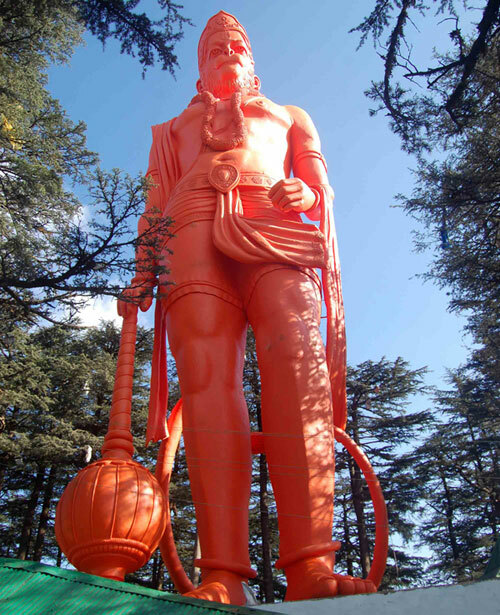 At the top of the hill in the temple complex a 108 feet tall idol of Lord Hanuman is a big attraction for the tourists.The way to the temple is, on foot, from the Ridge near Christ Church. Other option is to hire pony from the Ridge or drive taking via the Cart Road.